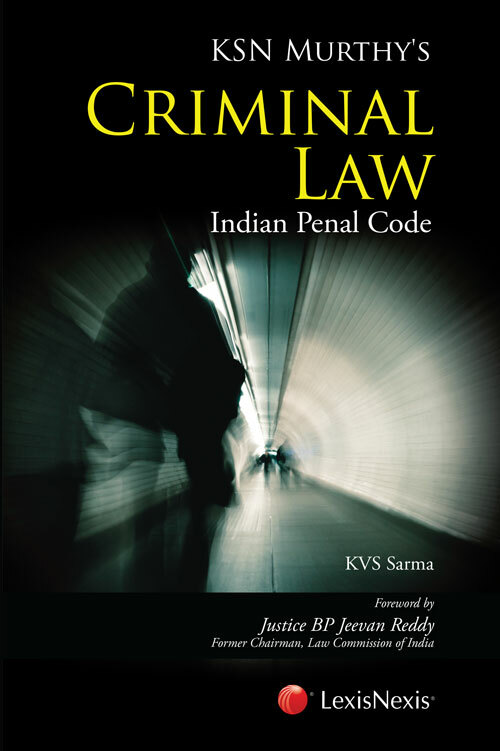 “KSN Murthy’s Criminal Law (Indian Penal Code) is specially designed for students pursuing the three year or five-year degree course in law education institutes including national law schools. The book will also fulfill the requirement of students pursuing the LLM course from various universities of the country. It would be useful to academicians and activists, lawyers to laymen. The text is divided into 23 chapters and follows the pattern of the IPC. It covers the major areas of the IPC such as history and evolution of criminal law, general exceptions, abetment, criminal conspiracy, offences against the state, offences against public justice, offences relating to religion, offences affecting the human body, offences against property, criminal breach of contracts of service, offences relating to marriage, defamation, criminal intimidation and attempts to commit offences.